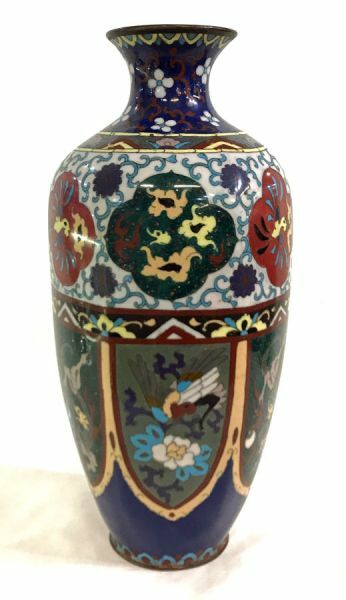 Antique Japanese cloisonné enamel vase. 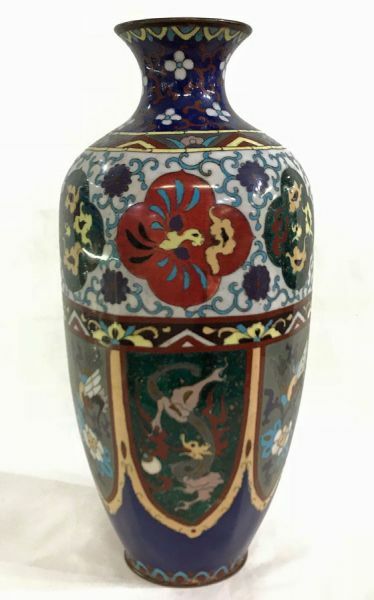 Circa 1880-1900. Slightly rounded hexagonal form, with 3 pairs of alternating panels. 11 1/2” high, 5 1/4” diameter at the widest.